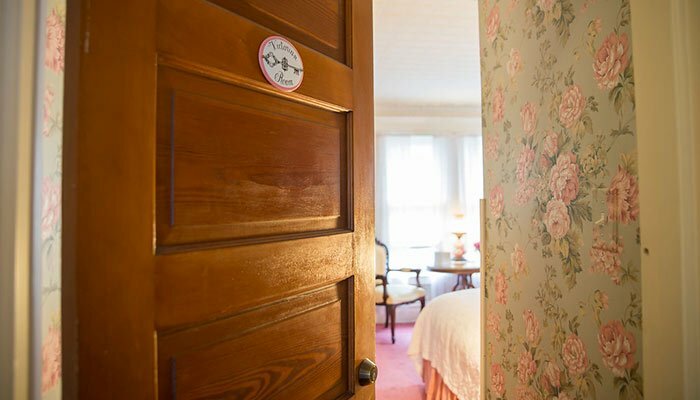 A very romantic, large guest room located on the 2nd floor. 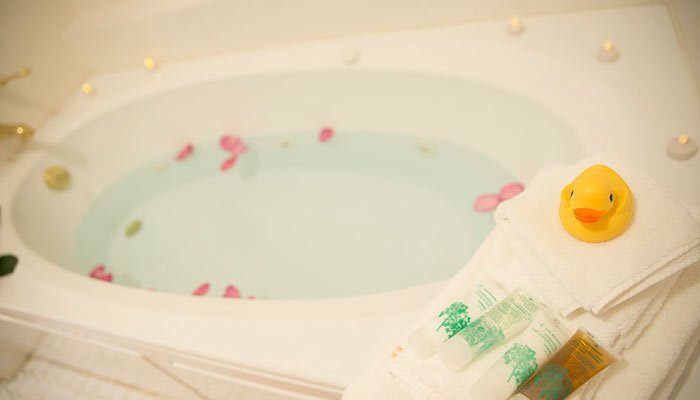 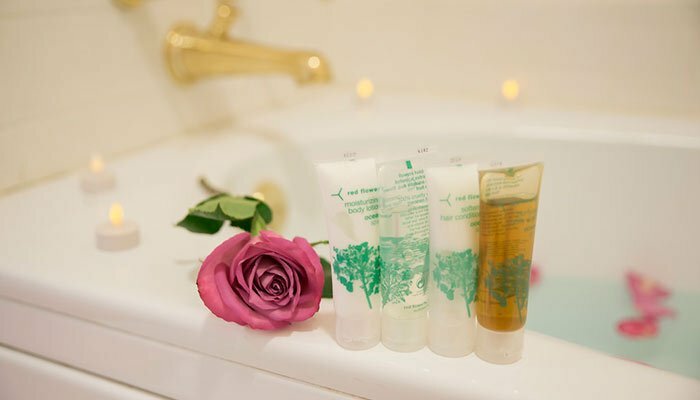 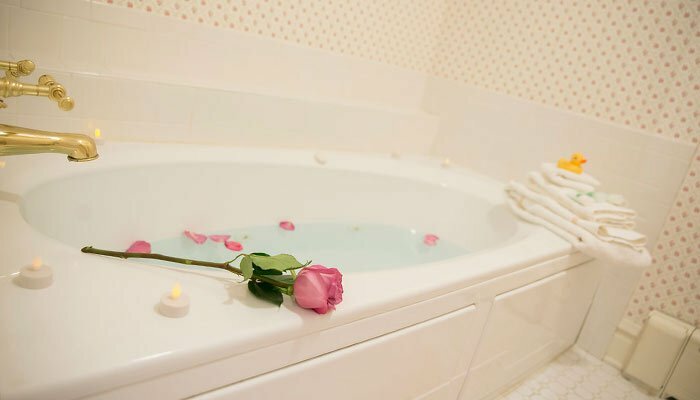 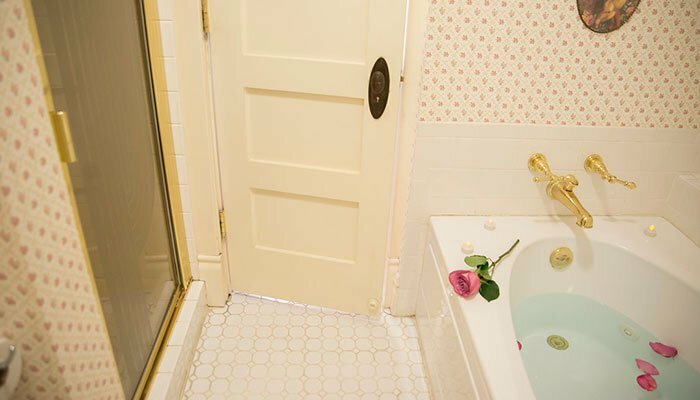 It features a king size feather bed, in room pedestal sink and connected private bath with jacuzzi tub and separate step-in shower. 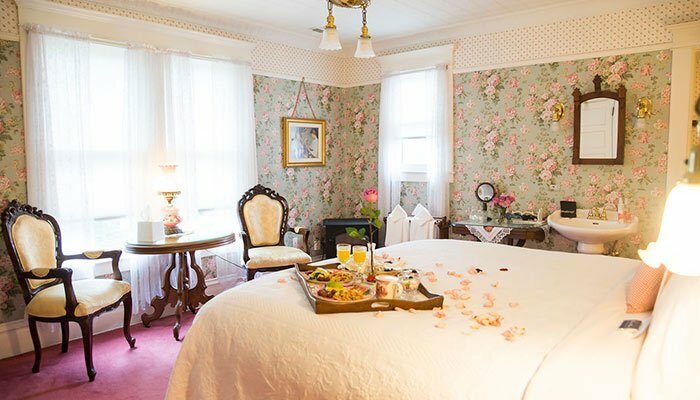 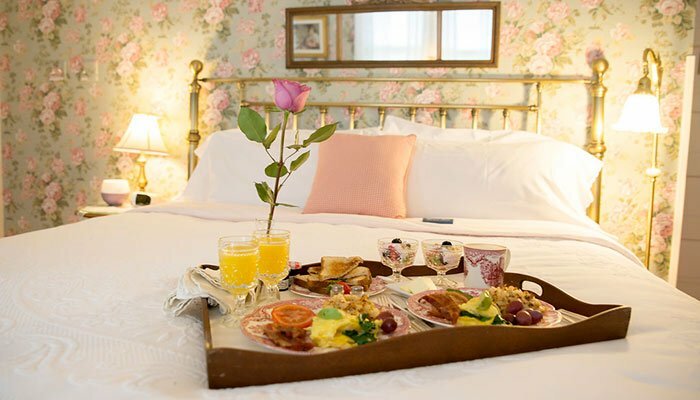 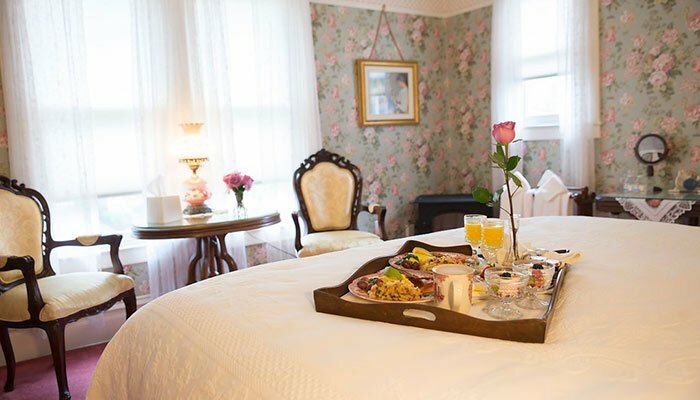 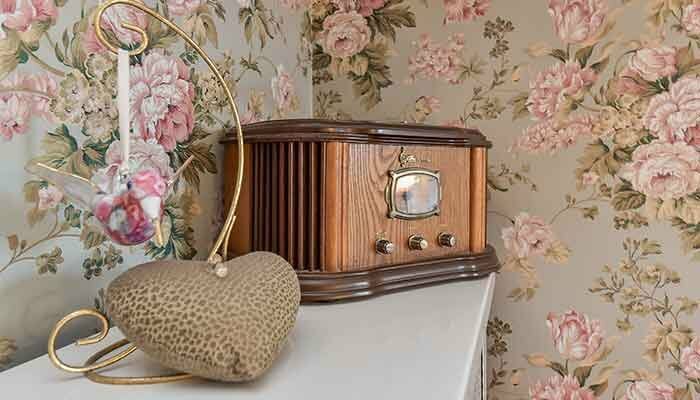 Enjoy your stay in this beautiful room decorated to reflect the early 1900’s with Victorian charm with antique furniture, high white tin ceiling, large floral wallpaper and a remote controlled electric fireplace. 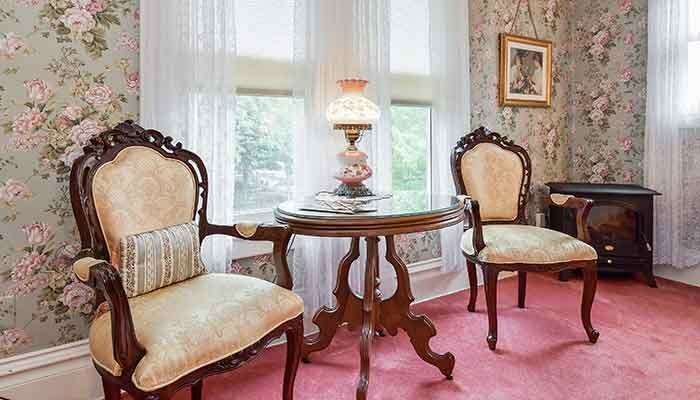 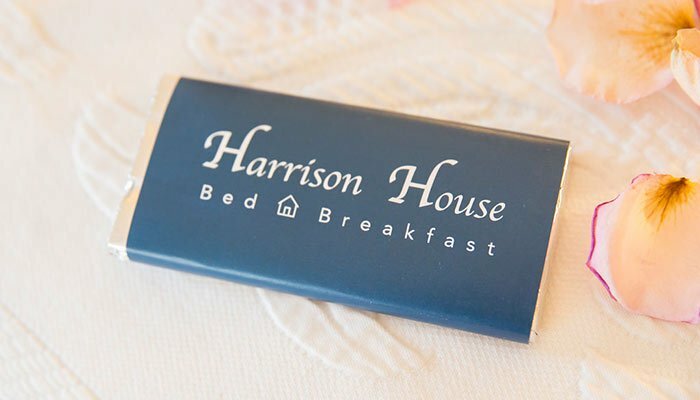 This European-style, second floor room is considered a guest favorite for those seeking a romantic getaway and / or very comfortable accommodations with a table for work or to enjoy a gourmet in-suite breakfast for 2!